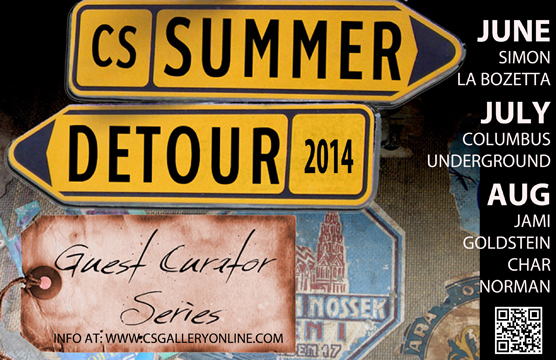 CS Gallery Summer Detour Series is Here!! In July we will be collaborating with Walker and Anne Evans of Columbus Underground to create a fabulous showing of their featured artists. And for August we will be featuring TWO curators!! Both Jami Goldstein of Greater Columbus arts Council; and local artist and former provost of CCAD, Char Norman, will be curating not to miss group shows!